If you are like most parents, the thought of having . . .
your child's birthday party at Chuck E. Cheeses or McDonald's makes you cringe. Just the thought of fattening foods, the same boring games and screaming kids running around everywhere is enough to make even the calmest parents lose sleep at night. The problem is that there just aren't that many alternatives. If you're looking to create a birthday party experience that your child will NEVER forget - full of memories and photo op's that'll last a lifetime - you've landed in the right spot. 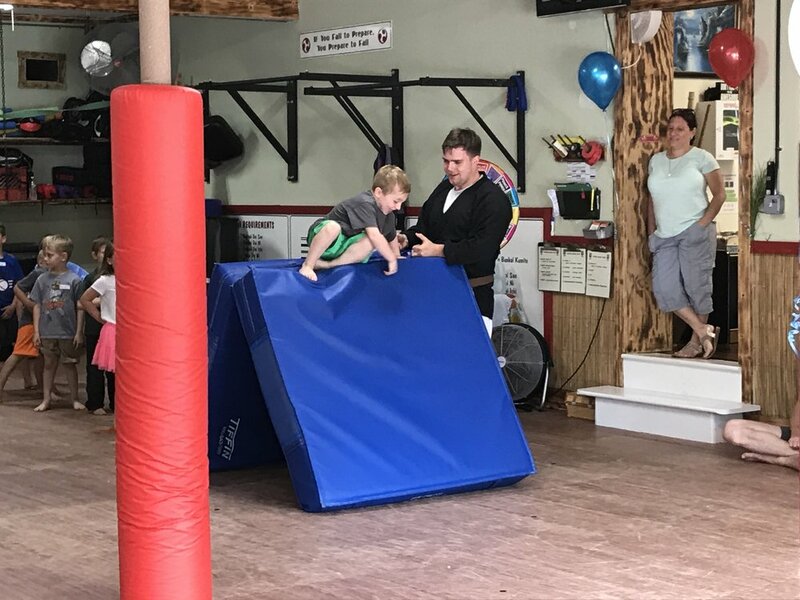 Our birthday parties are hosted by one of our highly trained martial arts instructors and focus on interactive, organized play (AKA: not a bunch of unsupervised kids running around). The games are engaging - and most important, fun! 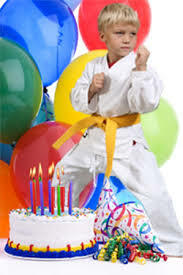 The party starts out with a very special shout-out to your child, along with an honorary Black Belt for the day, before things pick up. There's room for food, happy birthday singing and gifts. And the most important part? Your child is ALWAYS front and center. We handle ALL set up and clean-up for you. You don't have to lift a finger... except, of course, to take priceless snapshots that will last a lifetime. 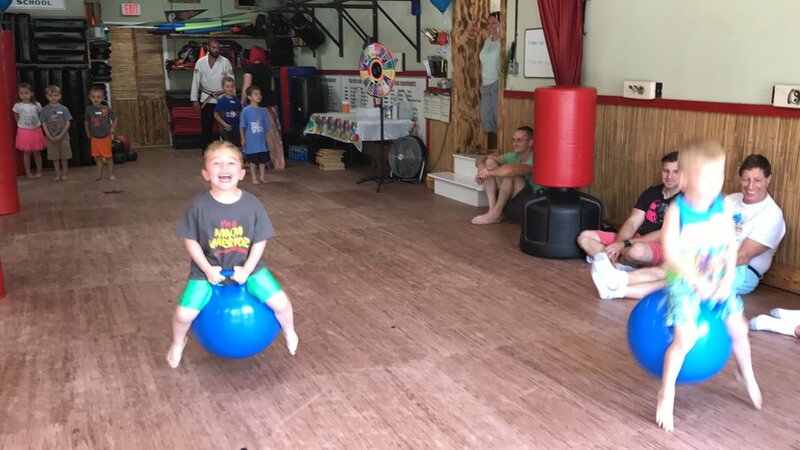 We have mutliple options for parties and can accomidate all ages too. We even have an indoor zip line that everyone LOVES!!!! Hit the “BOOK NOW” and plan your party. It will be the best, easiest, and most memorable party you have had!